 It’s Organic September and our friends at the Soil Association are asking us all to make a difference by making small organic changes to everyday life. But here at Organic Blooms we’re thinking more along the lines of the afterlife… forward thinking, hey?! Recently we’ve noticed a growing interest in ethical burials, with more people coming to us for organically grown, sustainable funeral flowers. 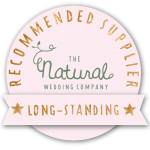 We’ve also been approached by several florists looking to develop their sympathy flower expertise. In response we’ve developed our new sympathy flower workshop, which we’re excited to be running for the first time during September. The workshop on Saturday 17 September is designed for people working in floristry or flower growing and we’ve got a packed programme for the day. 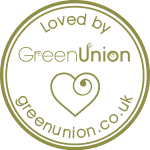 Working with our organically grown flowers, we’ll be making a variety of arrangements, talking about funeral etiquette and – la piece de la resistance – we’ll be decorating a willow coffin, which we have kindly been loaned for the day from Musgrove Willows in Somerset. We still have a couple of places available – why not make organic sympathy flowers your Organic September change? Check out the details on our workshop page.